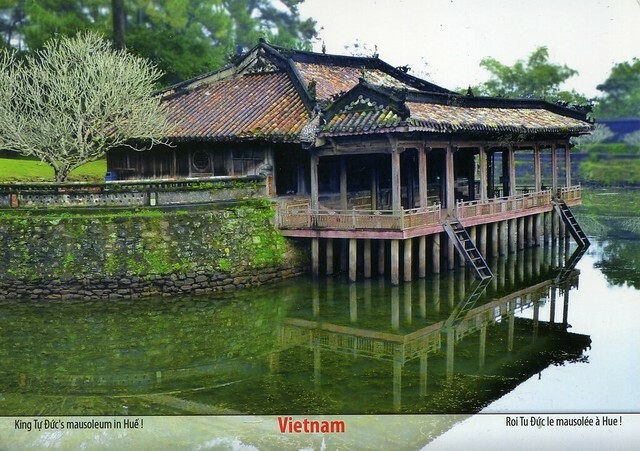 A lovely Unesco card from Vietnam I received a couple of years ago. The Complex of Hue Monuments is located in and around Hue City in Thua Thien-Hue Province in the geographical centre of Vietnam and with easy access to the sea. 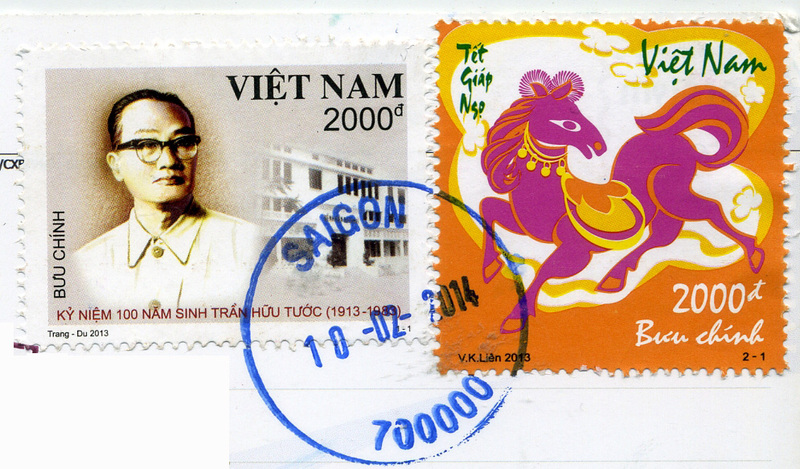 Established as the capital of unified Vietnam in 1802 CE, Hue was not only the political but also the cultural and religious centre under the Nguyen Dynasty, the last royal dynasty of Vietnamese history, from 1802 to 1945 CE. The plan of the new capital is in accordance with ancient oriental philosophy, and respected the physical conditions of the site. The Ngu Binh Mountain (known as the Royal Screen) and the Perfume River, which runs through the city, give this unique feudal capital an entire setting of great natural beauty as well defining its symbolic importance. The site was chosen for a combination of natural features – hills representing a protective screen in front of the monuments or taking the role of “a blue dragon” to the left and “a white tiger” to the right – which shield the main entrance and prevent the entry of malevolent spirits. Within this landscape, the main features of the city are laid out. The structures of the Complex of Hue Monuments are carefully placed within the natural setting of the site and aligned cosmologically with the Five Cardinal Points (centre, west, east, north, south), the Five Elements (earth, metal, wood, water, fire), and the Five Colours (yellow, white, blue, black, red).